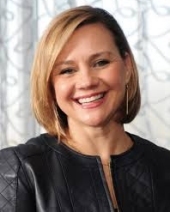 April 3, 2019 - Graphic Packaging Holding Company today announced that Stacey Panayiotou will join the company as executive vice president, human resources. Panayiotou will have responsibility for leading the strategic direction and operational execution of all aspects of human resources as well as the internal and external communications function. Ms. Panayiotou joins Graphic Packaging from The Coca-Cola Company, where she was most recently Global Vice President of Talent and Development and Vice President, Human Resources for Europe, Middle East & Africa. Prior to that, she held positions within The Coca-Cola North America Group, Coca-Cola Enterprises, and Pactiv Corporation in a wide range of human resources and organizational development capacities. “Stacey's breadth of human resources expertise and global experience make her extremely well-qualified to lead our human resources team as they attract the highest level of talent and support our employees worldwide,” said President and CEO Michael Doss.